Music for many people is something special and intimate. Someone like calm songs, somebody fast, somebody dancing, many people prefer to sing along. Today there are many ways to record your own song at home, without visiting a recording Studio. Choose the right for your words to music. Play it a few times and practice to combine the music and words. For convenience, the words can be written on a piece of paper, and near the beginning of verses and choruses to set the time. Several times sing her song. Download from the Internet a special program for recording audio. There are many such programs, but you can stay for one more functional and unpretentious. For example, such programs are: Audacity, Adobe Audition or Sound Forge. Install any software to your computer and run it. Prepare the place where you'll write the song. The room should not be extraneous sounds. It is desirable that the room you were alone. Connect your microphone and make sure it is working. Please note that the better will be your chosen microphone, the better it will record. 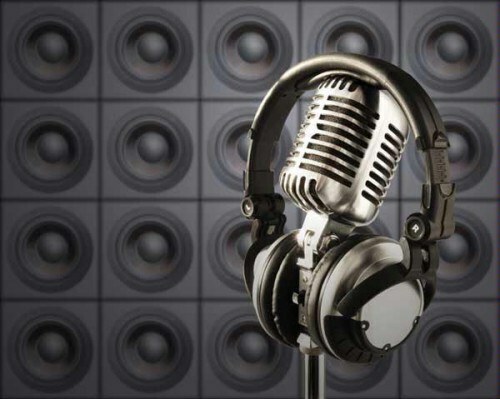 Do not have to buy an expensive condenser microphone, - it is sufficient to use the usual dynamic. Very good models of microphones are: Shure, AKG, Nady or Rode. Open your preferred music through a downloaded program. Plug in your headphones, put them on and hit the record button. Do not hold the microphone too close to your mouth, otherwise the recorded sound will be audible crackles and hisses. But not otdavayte the microphone too much. Sing the words clearly, in accordance with the beat of the music. Listen to the resulting recording. If you are not satisfied – write again. To record high quality song the first time is very difficult, so be prepared to preispodnei several times. Remove the extra noise from the resulting recording. In order to do this, it is necessary to allocate a small piece of the noise as a sample. Get a sample easily enough – take a moment at the microphone, with absolutely no moving. Select the resulting line noise. Then everything is simple: if you're using Audacity, select the part of the audio track to which you want to apply noise removal and click OK. If you use the program Adobe Audition – determine the part of the track to which you want to apply uninstall and click on Ctrl+Shift+P. Confirm the selected action by clicking the OK button. Try to add to the records of various effects. The use of fixed effects allows us to achieve originality and unique sound that will make your song unique and special. If desired, the same record, you can apply multiple effects, so don't be afraid to experiment. Make sure that you are satisfied with the resulting recording, and then save it in the format you need. First, don't forget to save the entire session. This is necessary in order to then at any moment you could open a track and edit it. Save the song better in MP3 format. When you save, it is recommended to choose the quality in 320 Kbps. Beginners are best to save each step separately. Even though it will take much more computer memory and time, but in the case of a failed step, you can always go back to any time creating your own masterpiece.